Nagios Error - CHECK_NRPE: Received 0 bytes from daemon ~ Your Own Linux..! CHECK_NRPE: Received 0 bytes from daemon. Check the remote server logs for error messages. Dec  4 14:42:42 RemoteBox nrpe: Error: Request contained command arguments! The error "Request contained command arguments!" 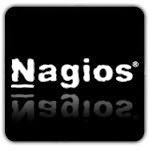 indicates that, by default, Nagios does not take any argument. cd ./src/; make ; cd ..
Now check from the server whether NRPE has started receiving arguments.